The SS 1200-GF-S1-C is recommended for gas samples with heavy particulate and heavy to moderate condensable contamination. 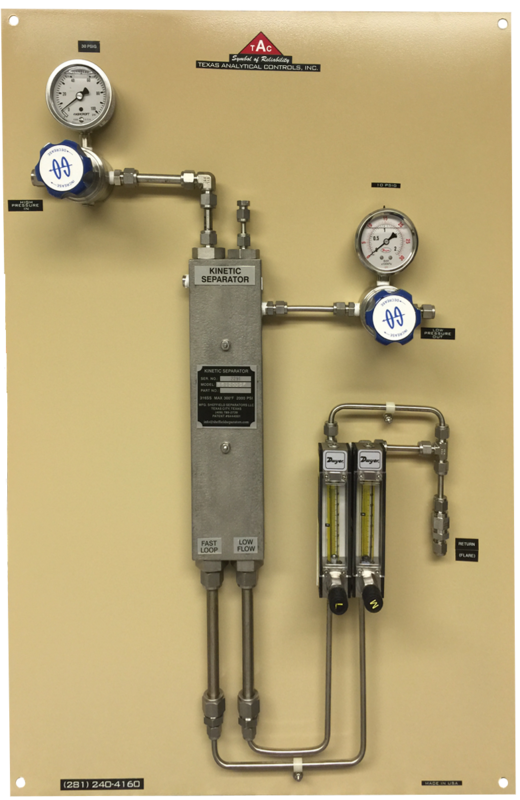 These demanding applications require the highest performance and the most reliable separator and filters. The addition of a cooler to the standard SS1200-GF-S1 provides the additional benefit of cooling the sample to increase condensation, thereby maintaining a single phase sample. SS1200-GF-S1-C is also recommended for critical applications requiring infrequent filter changes. The Sheffield patented dual chamber separator with cooler provides maximum separation of condensable and immiscible contaminants while the second, polishing chamber provides final clean-up. Kinetic Separation Technology is the most innovative technology available today for sample conditioning. 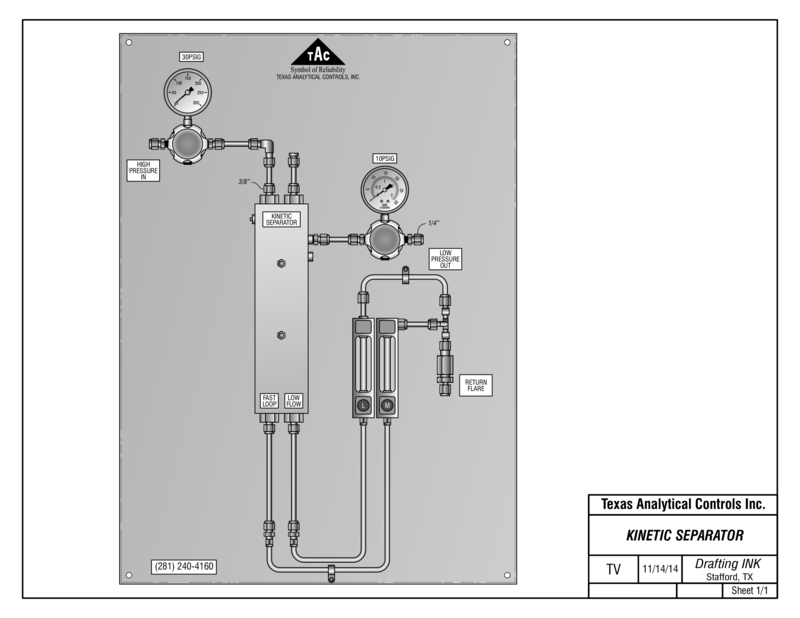 The Sheffield patented dual chamber separator provides maximum separation of condensables and particulate. Although kinetic energy will physically separate impurities, it will not alter the chemical composition of the sample. The flow rate specified for the sample system is sufficient for the separator. For best results, the first chamber flow should exceed that of the second chamber.